The Quilting Hermit: Even more progress! I had to look a second time after reading your post - I havent noticed it at all. 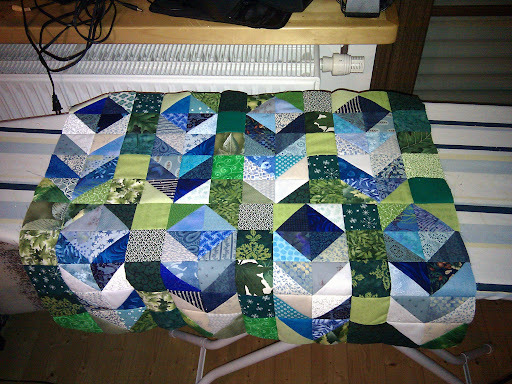 I think it looks good and you can leave it like it is - but I know how it is when something cought your I on a project..... seams, fabric, quilting..... it will always be the first thing you´ll see when you look at it (well a least with me) - so it depends how much it really bothers you.